Explore the construction of a parallel lines using the rhombus construction method. 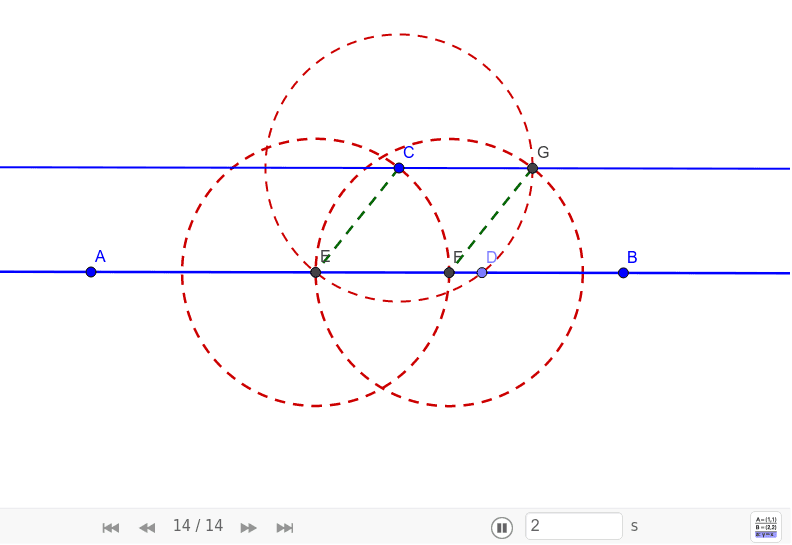 Summarize the properties and construction of parallel lines, Rhombi, and circles. 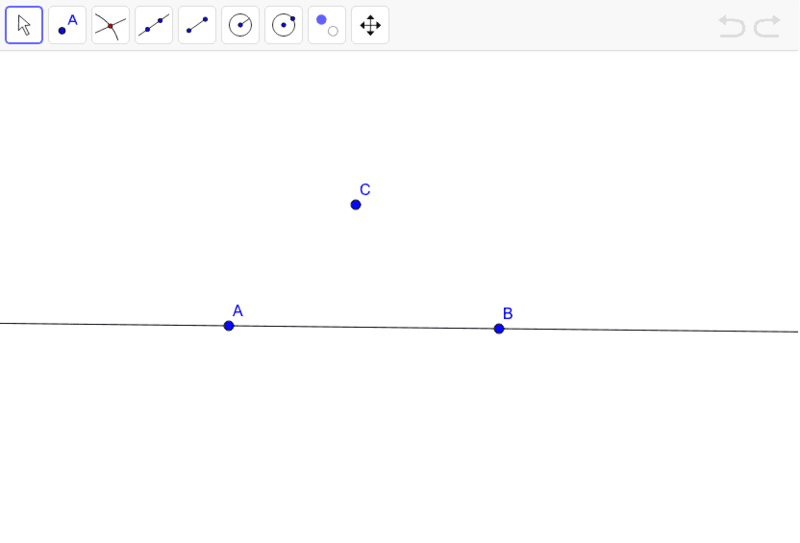 Hint: If you are not familiar with the construction steps necessary for the rhombus method of constructing parallel lines, you might want to explore the applet below. Just use the buttons of the Navigation Bar in order to replay the construction steps. ﻿4. ﻿ ﻿Construct a circle centered at E and through point C.﻿ (Circle d) ﻿ ﻿ ﻿You can also construct segment EC and FG to explore their relationship.